Originally used in 1903, Phoenix park was used a 1 mile sprint and a 1 km flying sprint. The Phoenix statue in the middle of the track would have caused the larger cars to swerve around it (they were released in pairs), so the base either side was lifted up to create more space. The entire statue was moved by 1929! 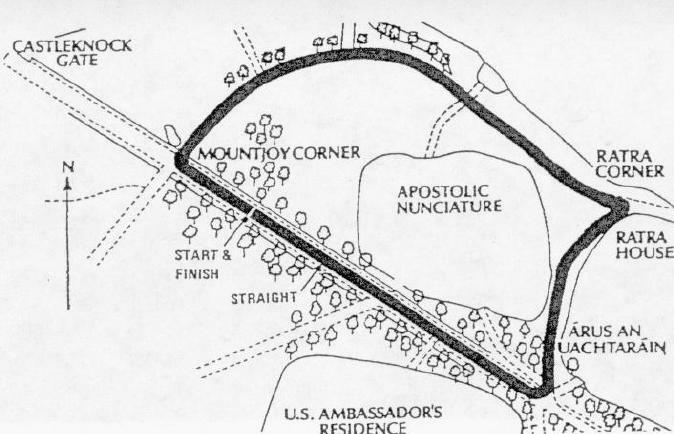 This circuit was used between 1929 and 1939, originally for the Irish International Grand Prix. It was used once more in 1969. It was 4.25 miles/6.8 km long. 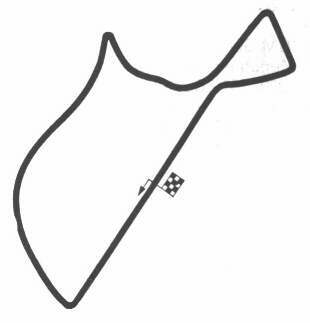 This circuit, known as the Oldtown Circuit, was used between 1950 and 1955, 1983 to 1985, and 1993 onwards. This was the Hawthorn Circuit, used from 1959 to 1960, 1967, 1978 to 1982, and from 1988 to 1991. Known as the extended Hawthorn Circuit, this was used from 1968 to 1977. 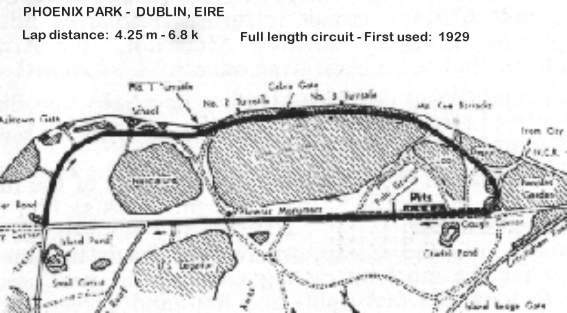 The Dublin 100 Circuit, used from 1962 to 1966. The modified Hawthorn circuit, used in 1977 and 1986.